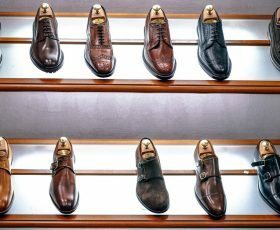 Top 3 Types of Footwear That You Should Say Goodbye To, Now! Love getting cufflinks as presents. It’s amazing how something so small can add such a perfect finishing touch to an outfit. Never be afraid to experiment with color. Try to incorporate it gradually into your regular outfits. You’ll be amazed at the difference. Male fashion is starting to take its place on the fashion podium but so much more needs to be done to promote it. Quick question – How often have you purchased a piece of clothing online only for it to arrive and look nothing like the picture? Is it true that men find it easier to dress for formal occasions rather than for casual times? Why is that do you think?